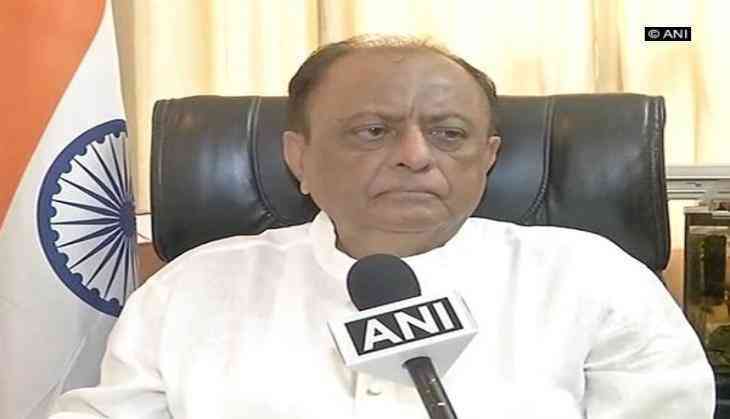 NCP leader and Rajya Sabha member Majeed Memon on Monday called Prime Minister Naredra Modi an "illiterate" and "uncultured" person after the latter took a dig at the grand alliance of opposition parties by saying all senior leaders are running in the race to become the next Prime minister. Speaking to ANI, Memon said, "Prime Minister is speaking like an illiterate, uncultured or a road-side person. His is a constitutional post and the Prime Minister isn't chosen on streets. The Prime Minister is making a statement that in 2014 there was a queue for Prime Minister's post and today that queue has been further lengthened. I don't understand this and it is the most irresponsible statement as though it is made by someone who does not understand how the Prime Minister is elected. This is not a direct election for the post of Prime Minister. People will elect Members of Parliament and it is 543 MP's who will elect the PM. We have to see what would be the composition of 17th Lok Sabha. Where is the question of jumping the gun and having a long queue for Prime Minister." He also demanded clarification from Uttar Pradesh Chief Minister Yogi Adityanath on one of the accused of Mohd Akhlaq lynching case being spotted at his rally and said, "It is shocking to find that one who is accused of serious crime mob lynching, which is gravest of crime. If such a person is made to sit with Chief Minister in the first row in the Chief Minister's rally, those who are aggrieved, what they must be thinking? Will they get justice. This is something horrible. We demand a satisfactory explanation from the Chief Minister on the whole justice system." One of the accused in September 2015 Mohd Akhlaq lynching case, Vishal Singh, was seen in a BJP rally in Bisada village yesterday. The rally was addressed by CM Yogi Adityanath. He also criticised RLD leader Jayant Chaudhary for making controversial remarks against BJP and said that all political parties must maintain a minimal standard of decency. "RLD leaders are part of the alliance in Uttar Pradesh and they are fighting BJP is UP. They have reportedly used some filthy language. In election heat, a lot of statements come but I think such statements must be avoided. But it is sad to find that such sharp words are being used from both sides. The statements flowing from ruling parties are far filthier and poisonous and both sides must maintain a minimal standard of decency while campaigning for elections," said Memon. The seven-phase Lok Sabha elections are scheduled to be held from April 11 till May 19. The result will be announced on May 23.